Does anyone here know anything about/invest in REITs? Could it be worth it to buy in right at the beginning of the trust? Here is an article on what and how REITs work, as for me I think I will buy it, Liberty is a good company so I assume it will be a safe long term hold and more diversity can't hurt? One gains +-23% over a year, one loses +-23% over the same year. Not so easy it seems, I will need to do some research here. Thanks for the comparison btw. Another Listed property fund will be created by 1st October... Could this be a worthy investment? Hammerson will be the JSE's largest property fund. It has a market cap of £4.5bn (R85bn) and will overtake Intu at £4.2bn. market capitalisation of the Company is approximately £4.7 billion (R88 billion). 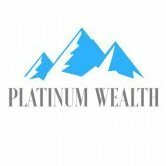 Company is not listed on any other exchange. Shares on the JSE without having recourse to their foreign portfolio allowance. Did anyone manage/remember to get some Hammerson shares when they listed??? 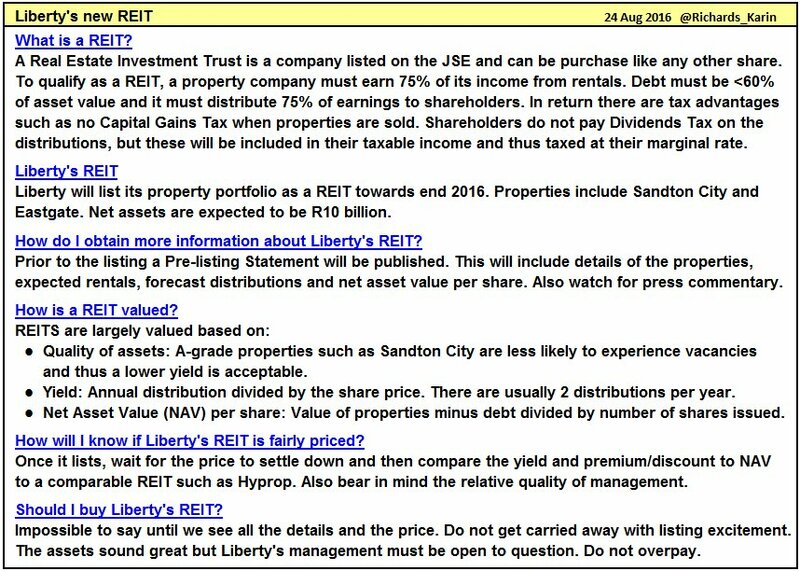 To those still interested in Liberty's new REIT which will list in December, according to this article: http://www.iol.co.za/business/personal-finance/libertys-property-fund-spawns-a-reit-2072237 , Liberty clients, regardless of whether they are currently exposed to the Liberty Property Portfolio or not, are being offered an opportunity to invest up to R1 billion in the Reit on a first-come-first-served basis ahead of the listing, also at a five-percent discount to the listing price. Suppose they'll make it into all the property indexes by January.